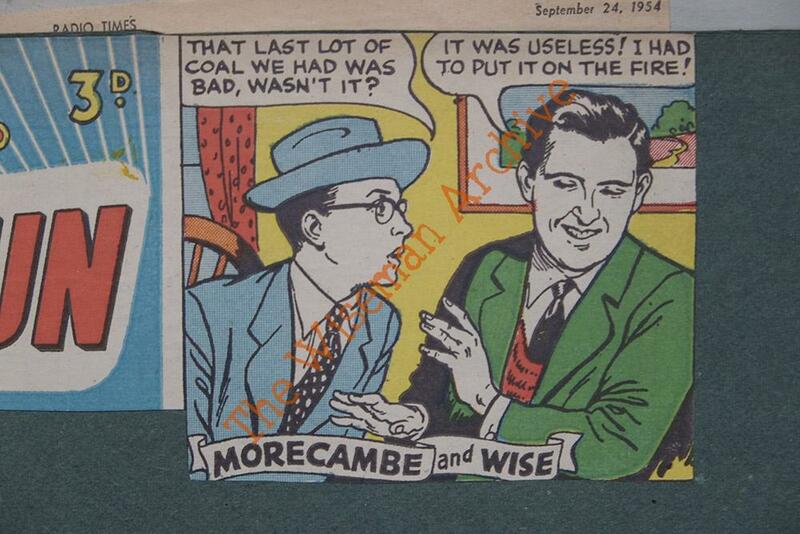 This site is the personal collection of Doreen and Ernest Wiseman who collected thousands of photographs spanning many years chronicling the history and travels of one of the duo famously known as Morecambe and Wise. 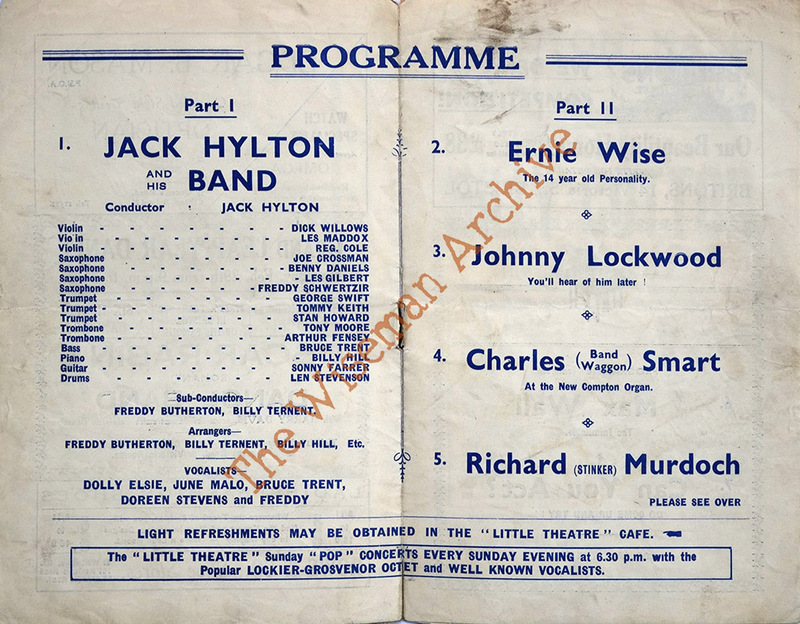 This website is undergoing construction at the moment as we are still working through the huge collection of photographs and newspaper cuttings that Ernie and Doreen left. Please feel free to browse but you must get permission from the Wiseman estate to use any of these photographs to contact us regarding the images please use the form below. 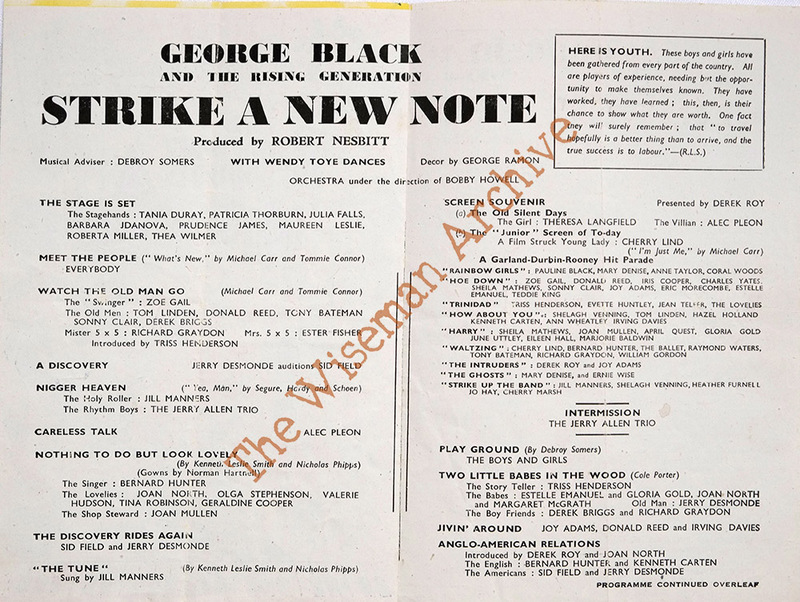 PLEASE NOTE: Whilst many of the images are the copyright of the Wiseman Estate there are many of the images that have independent copyright and this site does not claim to hold all of the copyright. Especially for the publicity shots in this collection which are held by the original photographer/ organisation such as the BBC. Where possible we have identified the copyright holder by photographing the reverse of the photograph, however additional permissions and copyright searches may be needed from the original copyright holder for any commercial use. If you do hold the copyright for any of the images and would like accreditation or the image removed please complete the form below. The archive has many very early Wiseman scrapbooks dating back to 1940 images of Ernie’s First appearances and personal valentines cards between Doreen and Ernie.